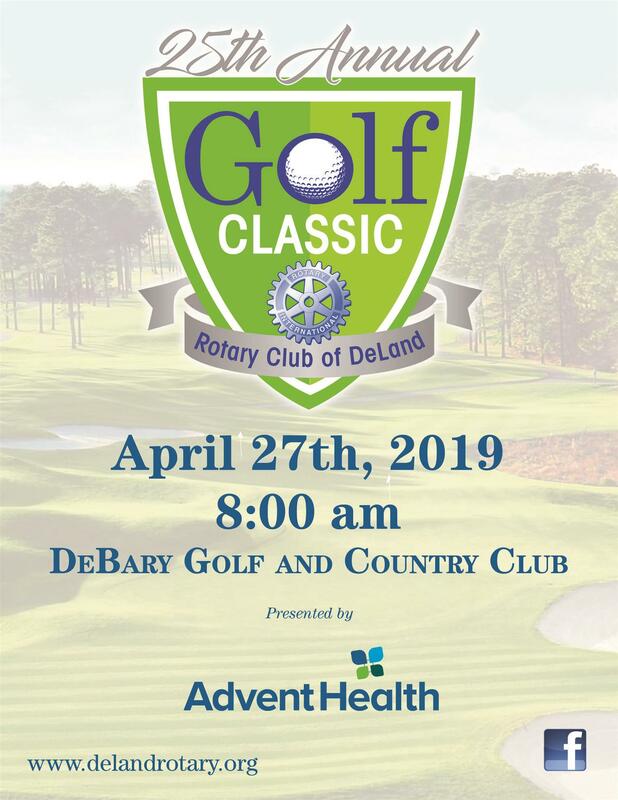 The Rotary Club of DeLand will hold its 25th Annual Charity Golf Classic at Debary Golf Course, DeLand, on Saturday April 27, 2019, beginning with a Shotgun Start at 8:00 am. Four Person Team Scramble sign-in is at 7:00 am. Advent Health DeLand will be this year’s Proud Major Sponsor. First, Second and Third Place trophies will be awarded; prizes will be given for Closest-to-the-Pin, Long Drive, Hole-in-One, etc. Proceeds from this event will benefit International Charities as well as local organizations and programs such as PAL, The Neighborhood Center, Boys & Girls Clubs of Volusia/Flagler Counties, YMCA, etc. The $125 Entry Fee includes golf fees, carts, continental breakfast, and BBQ lunch. 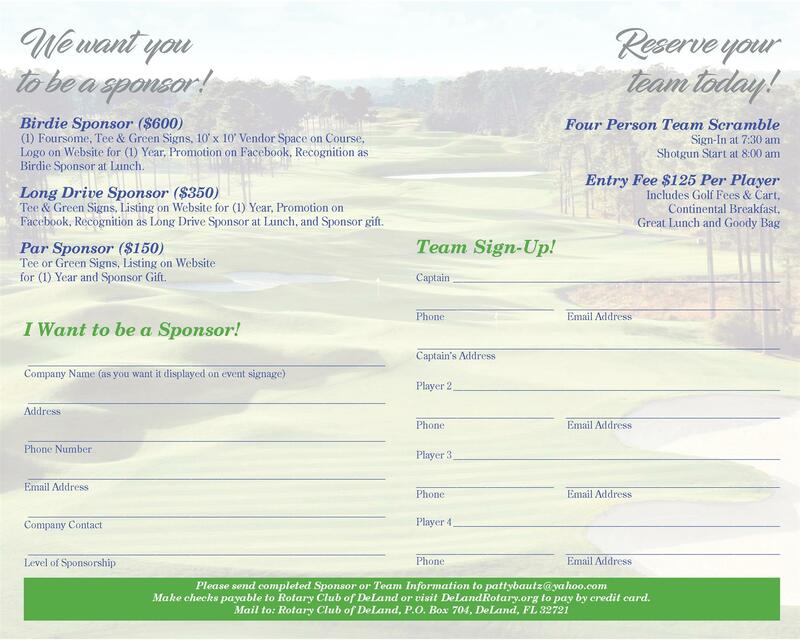 For sponsorship opportunities, to register a team, donate items for the Goodie Bags, or purchase raffle tickets, check out the Rotary Club of DeLand’s website (www.delandrotary.org), call Ed Denston at 386-801-7226, or Joanne Saxton, Committee Chairman, at 770-335-1491.